Day 20-10:32 am: Welcome to Week 2 of my Stay Sane as a SAHM interviews! Every Friday I will interview another SAHM and share it here with you. 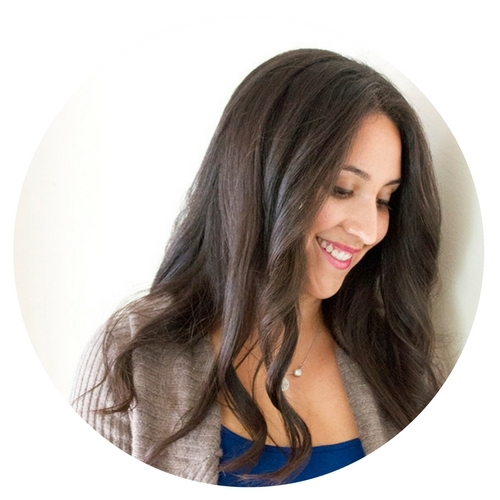 I absolutely love getting the insights and perspectives of other stay at home moms. Being a stay at home mom (aka Millennial Housewife) can be isolating and hard at times. It’s not easy to navigate the waters of being home, changing diapers, cleaning up spills, and doing laundry without any adult contact until your hubby comes home. That’s why I wanted to give you the chance to see how other Millennial Housewives do it. You are not alone. There are so many of us out there. WE can form a community to support and trust one another. This week I decided to share my story with you. 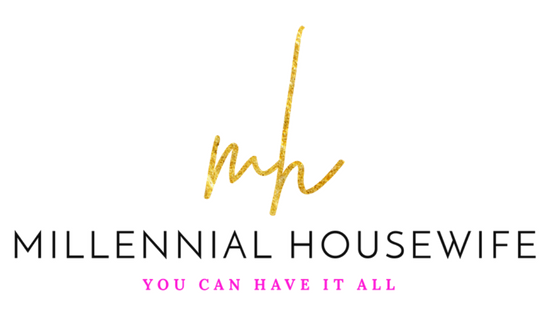 I give you some insights on my background, how I became a SAHM, and what being a Millennial Housewife means. You will see my toddler in the video need my attention for a minute because that’s what being a mom is all about! Keeping it real…. Day 18-10:40 pm: Ok, I’m running on fumes. I’m going to be honest with you. This whole staying up late, applying for jobs, working a part time job, running after a toddler, and building a business is starting to really take its toll. So, I decided I needed one day. Just one day. To put one thing on hold. So I didn’t apply for any jobs this afternoon. Mommy needs to take a break. It’s gotta be ok for you to take a break. Give yourself permission to put something on hold. You need to take a break, too. Because if mommy is overwhelmed, the rest of the family is overwhelmed. Also, if something else falls on your plate, you don’t want to crumble. My hubby was home with a cold so he spent all day in bed. Which meant that even though he was home, I still had to take care of everything around the house. And, bath time and bed time. So with that added responsibility, I just couldn’t do everything. It’s ok if you do. You are totally allowed to put something on hold. Leave the dishes in the sink. Order take-out, or don’t pick up the playroom. It will be fine. You need to take care of yourself and your priorities. Which is why it is important to stay organized. Keeping track of your to-do list and your top priorities is so important. Don’t worry about things that are at the bottom if you are too busy that day. Take care of the things that you really need to do first. But, make sure that you make the tasks manageable. Put little things on there so you can cross them off. Trust me, you will feel so much better and like you are making progress. I’ll post more about that soon. But please remember, give yourself some time off. It’s worth it. You are worth it. Day 17-10:54 pm: So, you know how I’ve been saying we have all been couped up in the house because of the weather? It’s been so hard finding things to do and toys to play with. Even with all of the new toys she got over the holidays, it seems she likes to play with it for 5 minutes then on to the next thing. Also, my toddler has had a cold, so she has gotten a lot (too much!) screen time these past few days. So when she woke up from her nap and immediately grabbed the tablet to start watching videos, I couldn’t take it anymore. So, after a brief temper tantrum when I took the “puter” away, I experienced more fussing when I tried to get on her shoes, then more fussing when I tried to put on her jacket. Then when I was putting on my shoes she took her shoes off, then her jacket. So I put them back on her. Then as I was putting on my jacket and getting her bag, she took them off again. Cue more fussing as I tried to get the shoes and jacket back on (note to self, get EVERYTHING ready to go before attempting to put on toddler’s shoes and jacket). 20 minutes later, we were ready to head out the door. I decided to go to the library, as I had a few books I wanted to donate that were extras from my Little Free Library. Ok, back to my story. As we were driving to the library (which is literally 3 minutes away), she said she was hungry. So we stopped and grabbed a snack (and mommy got a latte). Finally, we arrived at the library. Getting out of the house was a game changer. Let me tell you, she had so much fun at the library! They have a little play area for the kids and are super chill when it comes to letting kids run around and have fun. Nobody tells you to “shhh” or stops your kid from running up and down the book shelves. They are the best! So, I let her pick out some books to take home. She played in the kids area, made some friends, and had an amazing time! We stayed for over an hour and she was perfectly happy and content. Guess what? So was I! I felt like I could really play with her and have fun. I was present in the moment. Then we found out they were having PJ Story Time. So we went home, had some food, then went back to the library after dinner for the story time. Our story time is kinda famous around here. The Library manager, this young guy, does story time on Fridays and literally hundreds of moms and kids show up. It is standing room only to see this guy! He sings songs, plays guitar, dances with the kids, and reads stories. The kids love him. So, he was doing this PJ Story Time and my toddler was jumping up and down, singing, and listening to the stories. Once again, we stayed for about 30 minutes and when we came home, she was tired and happy. I seriously want to go to the library every night! So moms, when you are feeling tired, or overwhelmed, I say get out of the house. Go somewhere your kid can be a kid. It doesn’t have to cost an arm and a leg. I’m not telling you to go to Disneyland. But, find some fun local activity where you can allow your kid to run around and be silly. And allow yourself to run around and be silly with them. Put the phone down, and be present in the moment. Afterwards, you will feel revitalized, joyful, and relieved. And exhausted, but that just comes with the territory. Here’s to you getting out of the house, mamas! Day 16-9:35 pm: Bedtime is something that is kind of crazy in our house. We always have good intentions. You know, bath, brush your teeth, read stories, and go to bed. Seems simple, right? Not to a toddler! There’s excuses for everything. I need water. I need to go to the bathroom. I need my doll. I just want to run around the house a be silly. And before we know it, it is 10:00 p.m. We are all exhausted. So this evening, we tried something different. After dinner, we had “quiet time”. I read a book, my toddler had some screen time, and my hubby watched basketball. We all sat on the couch together for 20 minutes. It was so nice. It was great to be together. We all snuggled up and it was peaceful. I gave us all a chance to relax before bedtime. I know screen time isn’t good before bed, but after the quiet time we still had our bedtime routine. So, instead of running around the house, we are chill and relaxed. You don’t have to let your kid have screen time, but just do an activity that is calm. My little one likes puzzles, or coloring, or play-doh. Anything where they are just sitting and being mellow. That doesn’t mean playing chase, or jumping on the bed! This was just the first day we tried it, but I think we might continue to do it. I have to say she was still a little hyped up a bedtime, but she’s asleep before 10:00 p.m. So that’s great! Win for everyone involved! What is your bedtime routine? Do you have any tips to calm your little ones down? Let me know if you have any ideas in the comments below!